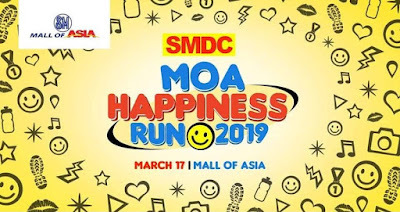 SM Mall of Asia, as the pioneer and one of the largest malls in Asia recognized the influence of promoting the happiness in every Filipino. 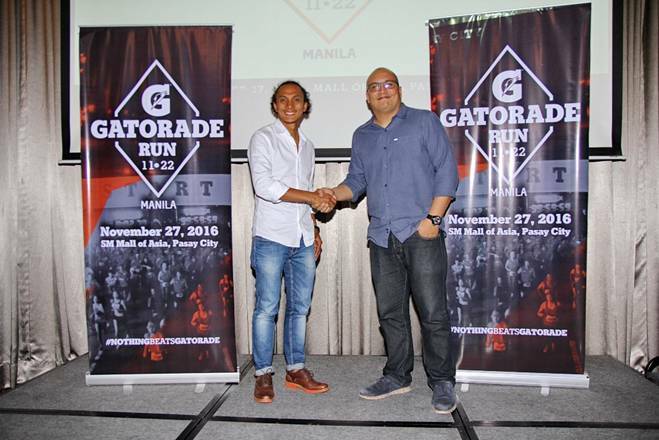 Get your running gear ready as 7-Eleven officially launches the seventh year of the 7-Eleven Run Series! 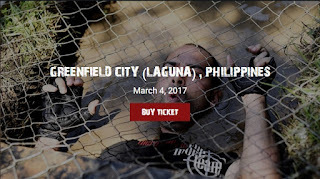 Happening simultaneously in Luzon, Visayas, and Mindanao on February 3, 2019, 7-Eleven Run 2019 promises to be an exciting event for both professional and recreational runners. The race was first held simultaneously in 3 locations across the country last 2018, with over 25,000 runners participating. This year promises to be even bigger, better and more exciting. Runners can expect to see new race categories, a chance to compete in an international Asian marathon, and even have the opportunity to win P500,000 cash. One of the largest chains of fitness clubs for women is celebrating their 25th year. It was out of the blue when I get invited to the event. 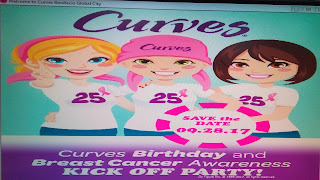 I, together with the other blogger friend didn't even get to witness their flash mob dance of Curves Bonifacio Global City Team because we are all late. However, we still get a chance to participate in their other activities. Not up for a Marathon? Then Join the ANCOP GLOBAL Walk Instead! The marathon is not my forte nor my interest. Although, I run, sometimes I am not really into it as a serious sport. Marathons take years of preparation. One needs to train hard, maintain a balance diet and build muscles. 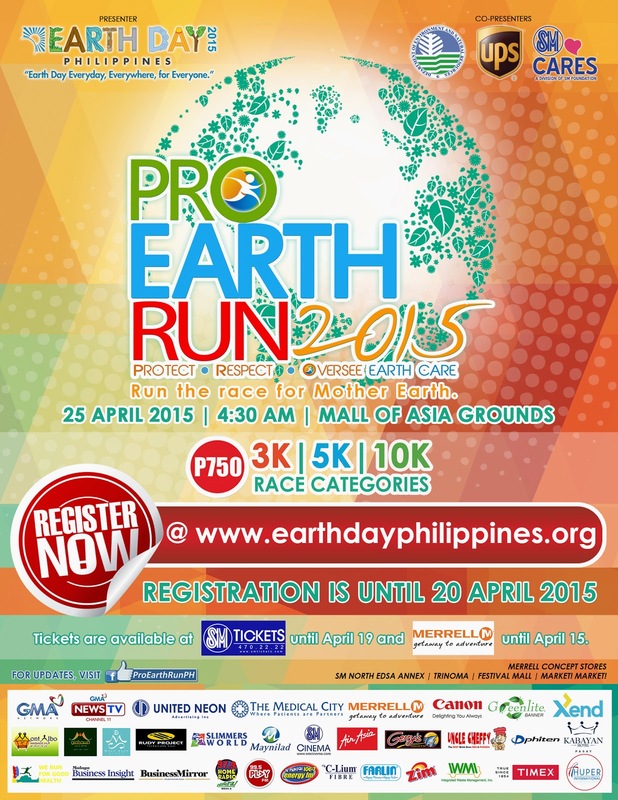 I know the fact that not everybody can run a race to help promote an advocacy. 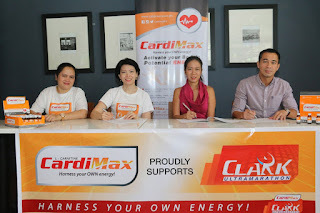 Dietary supplement CardiMax is once again helping long distance runners harness their own energy in this year’s CardiMax-Clark Ultramarathon, a premier ultramarathon event happening on September 3 and 4 at the Clark Freeport Zone. Seasoned and aspiring ultramarathon runners who wish to join the event can participate in the 100 Kilometer Championship race or the 50 Kilometer Challenge. Exercising is easy especially if your heart and mind are into it. You don't have to get to the gym just to have a good exercise. Simply at the small space in your home will do. I personally guilty about not doing it because I have no time. Working full-time and being an active mom to my kid was very tough. However, managing your time from busy schedules makes everything properly done. Stress is one of the biggest problems that we always encounter but having stress is not a hindrance to stop having a healthy lifestyle. 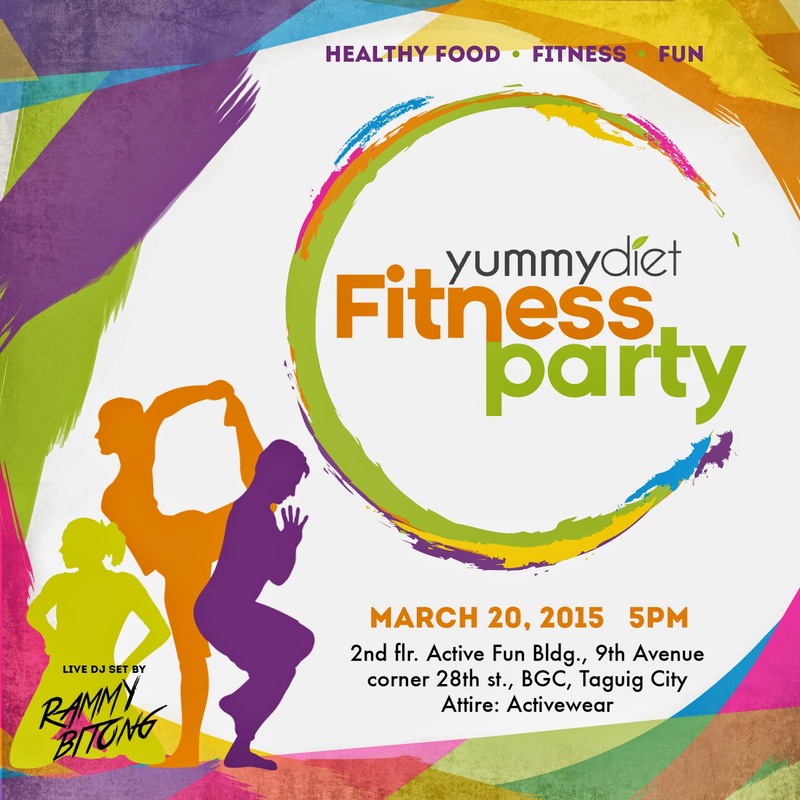 Last March 20, 2015, I manage to attend a Fitness Party where I really enjoyed the Zumba and yoga session. 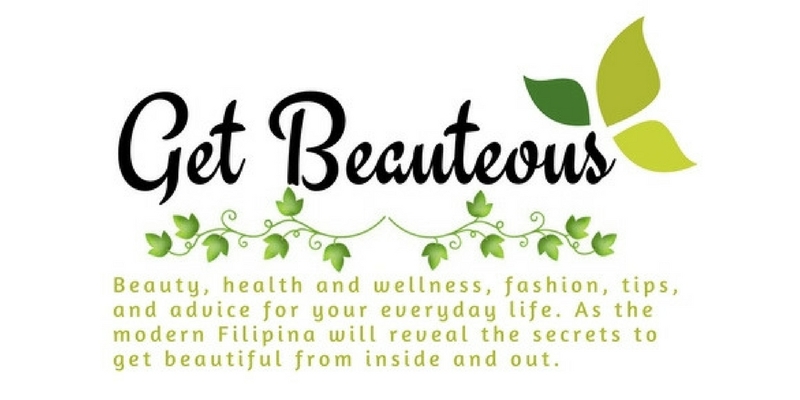 Yummy Diet host a successful event by gathering people who love to learn and have a healthy diet and lifestyle. 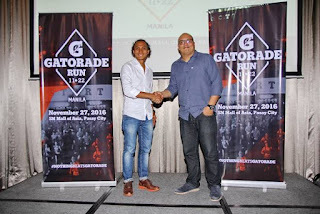 Globe Telecom has recently partnered with HEAD Philippines for the up coming 17th Head Graphene XT Junior Tennis Satellite Circuit and discovering the country's next big local tennis player. Through this project, they both helping to harnessing the potential young Filipino tennis players nationwide. The Jr. NBA/Jr. 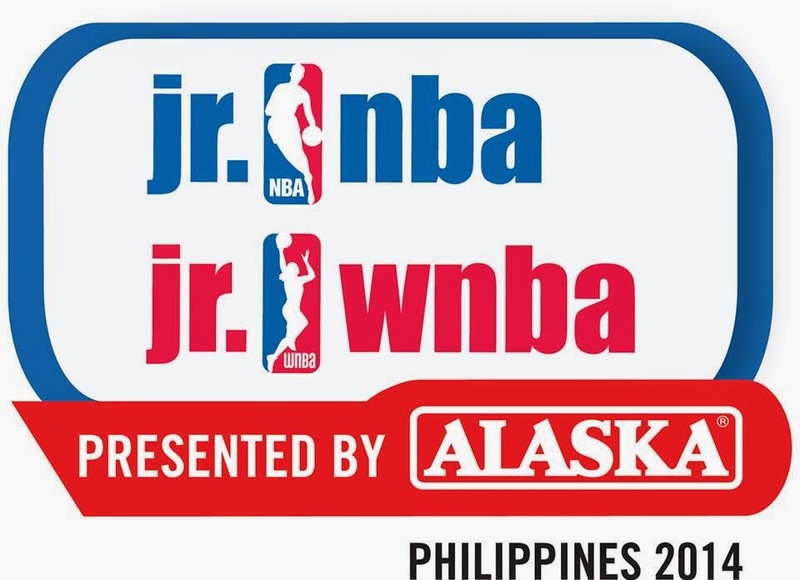 WNBA Philippines 2015 presented by Alaska program will tip-off in Manila with a coaches clinic on January 24 followed by an open clinic on January 25. A second coaches clinic and open clinic will be held in Bacolod on January 31 and February 1 respectively. Returning for the eighth consecutive year, this year’s program will reach more than 700 schools and communities nationwide. 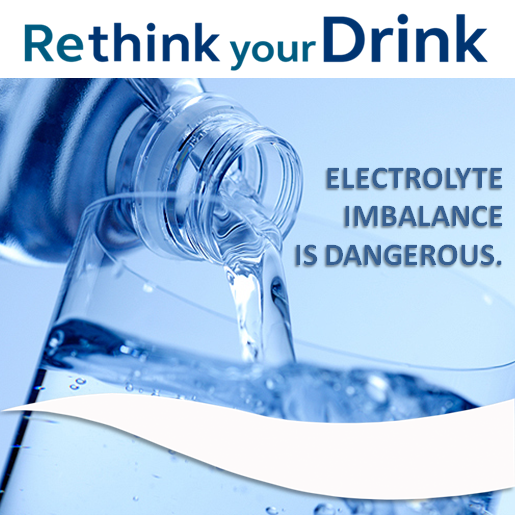 What we drink and how many times we drink is the key to a healthy and happy life. Too often, though, many of us think of only two elements as we go through our daily challenges in work or at home: food and fitness. It does not matter how many diet plans we missed or exercise regimens that we did not complete; at the back of our minds, we believe that it is essential to eat the right foods and perform physical activities regularly if we are to meet the demands in our personal and professional spheres. Archery is used for hunting and combat way back while in our modern times is it an art and sports that needs practice and skill of propelling arrows using a bow. It was never become a mainstream not until it was seen in some popular movies like The Hunger Games, Brave and The Avengers. 1. Consult with Doctor before starting any exercise program. 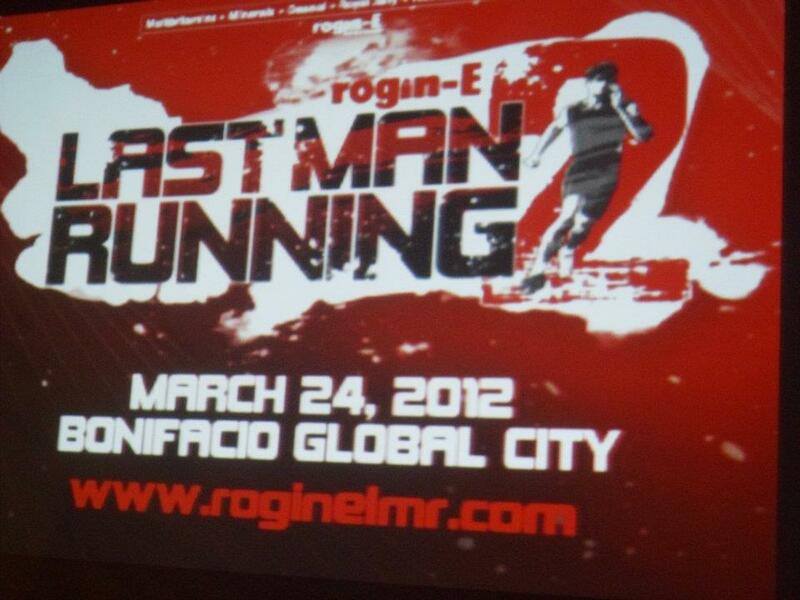 Last year Rogin-E Last Man Running was become extraordinary with the competitive participants who finish the race and tried the challenge of Rogin-E. This year another race will endure as The Rogin-E Last Man Running 2 event will be on March 24, 2012 at Bonificaio Global City, Taguig. There will be three categories for the race. This are the 5+2K Race, 10 + 4K Race,and the certerpiece event which will be the Rogin-E's Last Man Running (LMR) challenge which is the 7-hour marathon. There will be a limited number of slots per race. I never thought I will be given a chance to try working out at gym. I was lucky enough to be included in the list of Sky Fitness Philippines to be able to try their gym. Actually it's my forst time to work out in a gym like Sky Fitness. They have created the most comprehensive [ersonalized training program that will fit to you. They will bring your body back to functional balance, eliminating imbalance, weaknesses, nagging aches and pains and accelerating fat loss in scientific way.